Thanks to the schizoid distribution scheme that has plagued Hasbro in the last few years, I stumbled upon this figure only a couple of weeks ago as local stores prepared for the holidays, and I picked it up just because. 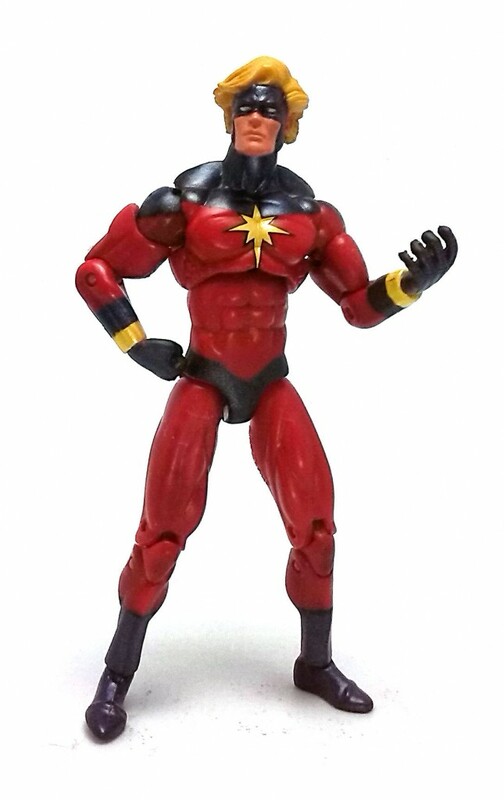 Ok, the thing about Captain Marvel here is that he is an entirely generic superhero action figure. Quite a few characters in the Marvel Universe have donned the same name, but apparently this particular incarnation seems to be Noh-Varr, the same character that would later be known as Protector. 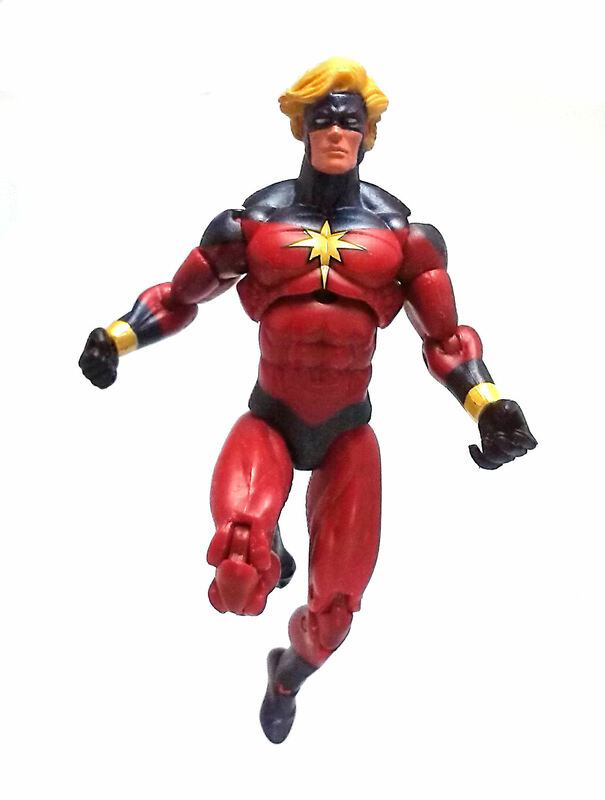 Captain Marvel was released in Hasbro’s Marvel Universe Series 3, using the medium build male body mold. The only newly sculpted piece is the head, which depicts a masked face with an open top, showing a short mane of hair. With such a simple character design, there are no costume elements interfering with any point of articulation in any significant way. 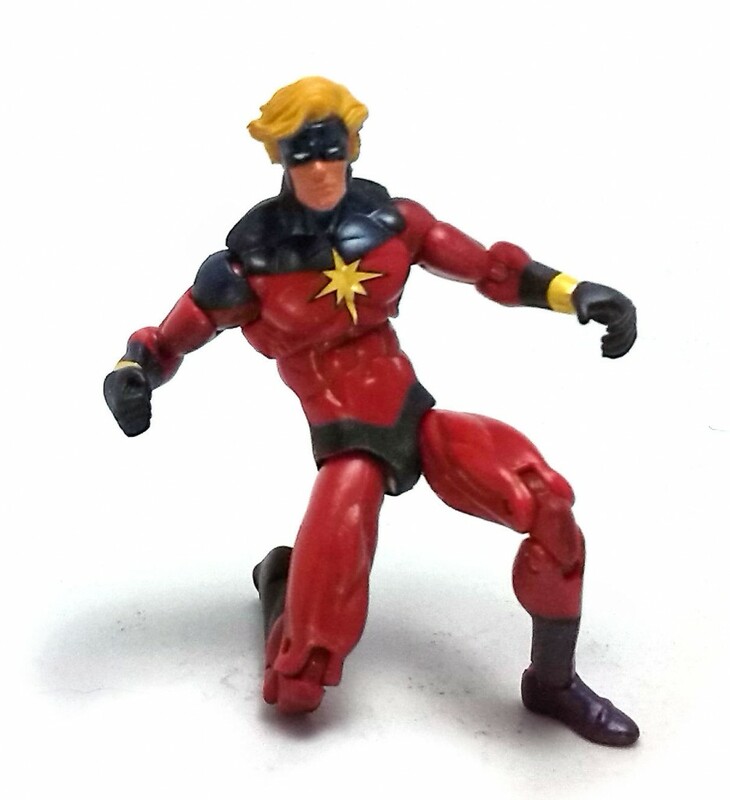 Captain Marvel is molded almost entirely in red plastic, with the dark elements in his costume painted in a very dark blue color with a semi-metallic finish in it. The golden star on his chest and the wristbands are painted in a rich gold hue more or less matching the overall tone of the hair. The eyes are painted neatly, but the edges of the exposed skin area could be cleaner. 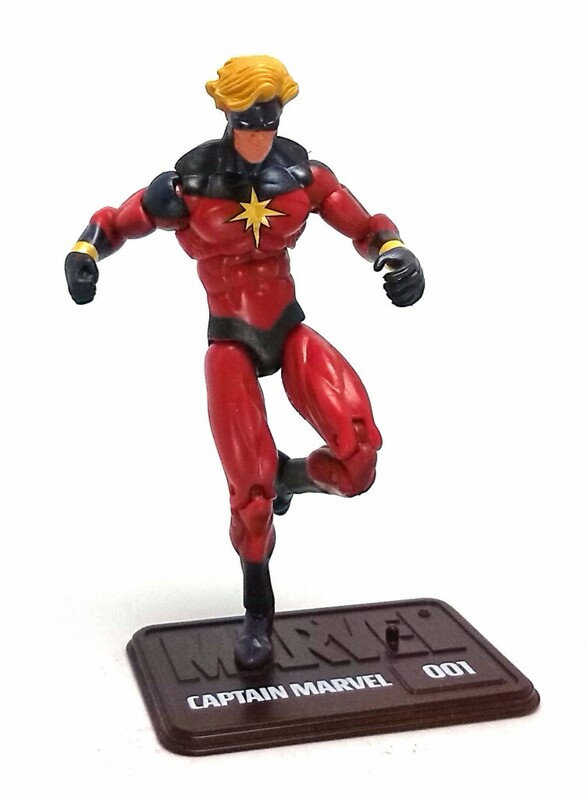 Being a figure released originally in 2011, Captain Marvel dispenses with the paper pack-ins from the first two series, but he still has a black plastic display base with his name and number stenciled on top. Overall, Captain Marvel is just an OK figure. I would have not paid the full price for him, but is definitely worth picking up at 50% Off or better. Decent review, but you are off on a couple of key elements. Any real collector, or comic book fan would know that this is Mar-Vell, the original “Marvel Comics” Captain Marvel. His is a landmark story for the publisher that makes this figure far from generic. 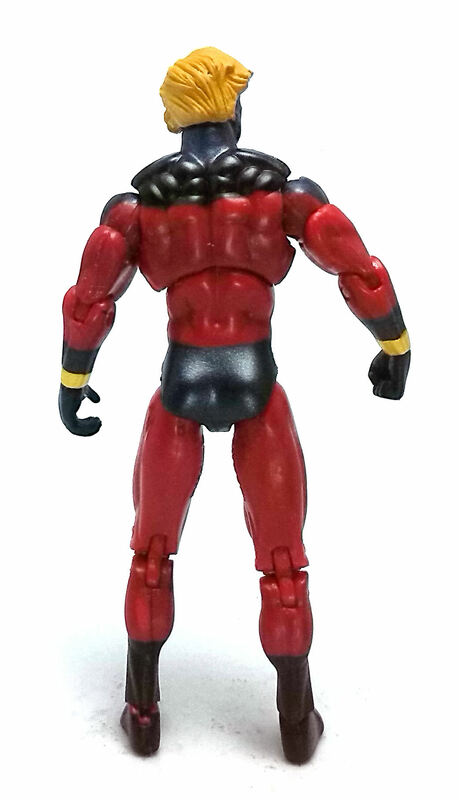 My guess is that in the future, this action figure could potentially be one of the more valuable ones of the entire set.